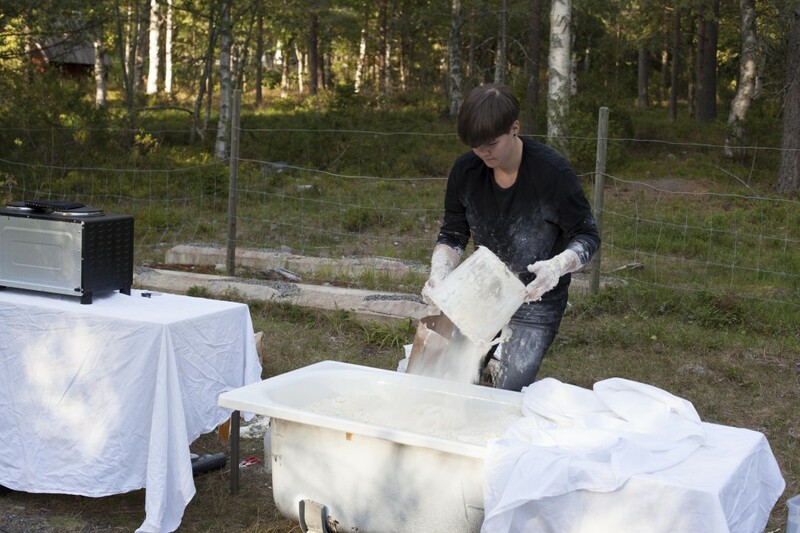 A performance where a mass of material changes during a period of time. 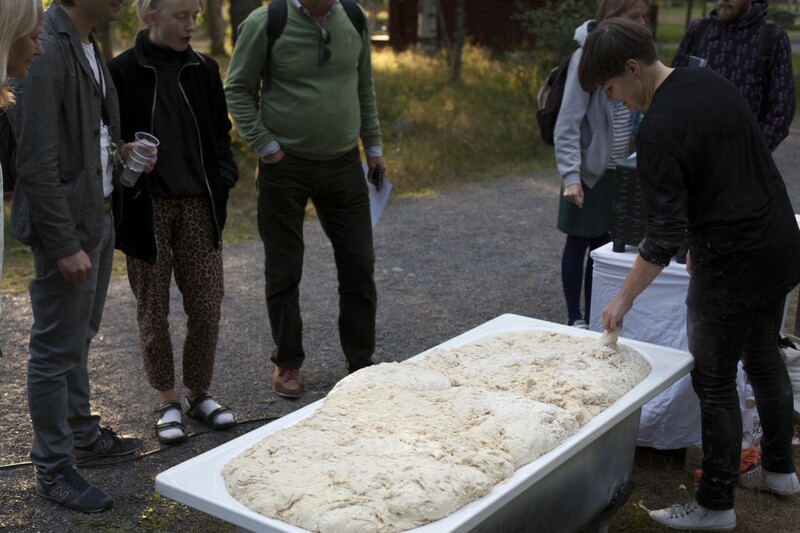 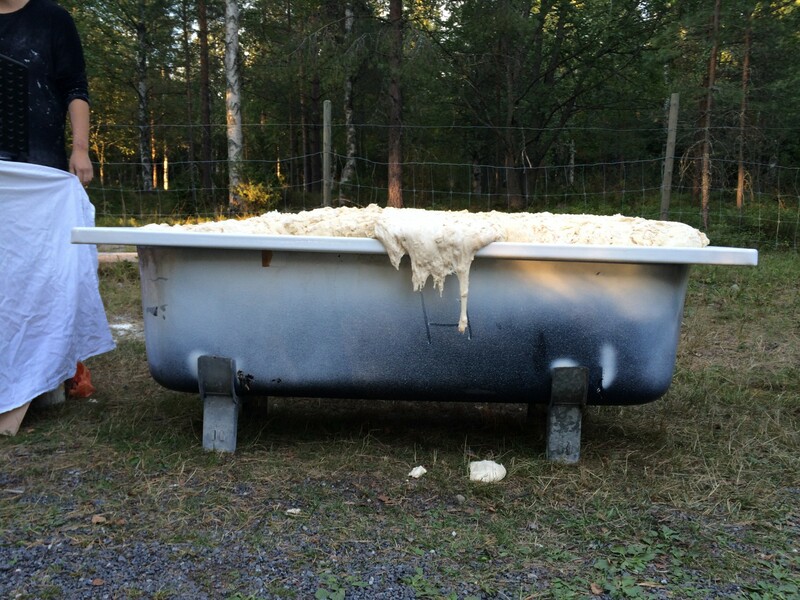 A giant dough is made in a large container, fermented, baked and served to the audience. 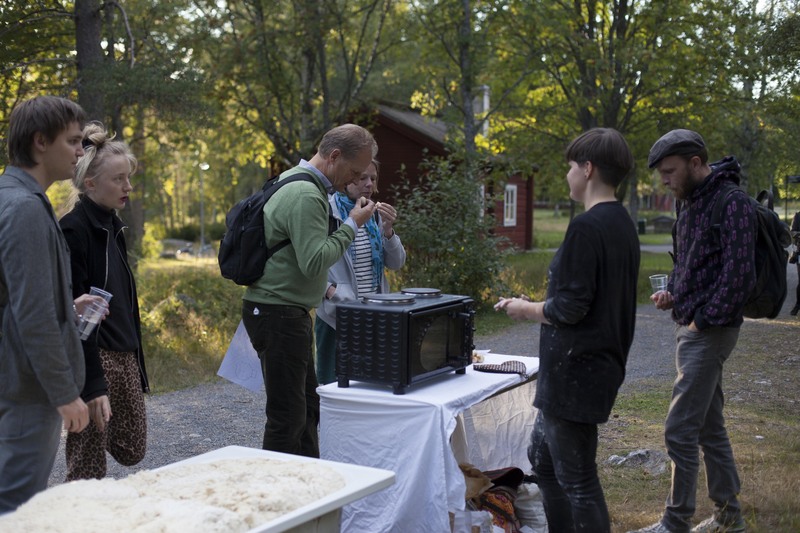 Showed at the performance night The gods have landed, Gammlia, Umeå.